This Calibrate dress shirt features a slim fit throughout, and is distinguished with a classic gingham pattern. The black and white shirt offers a sharp and polished look, with a straight collar and mitered single-button cuffs. 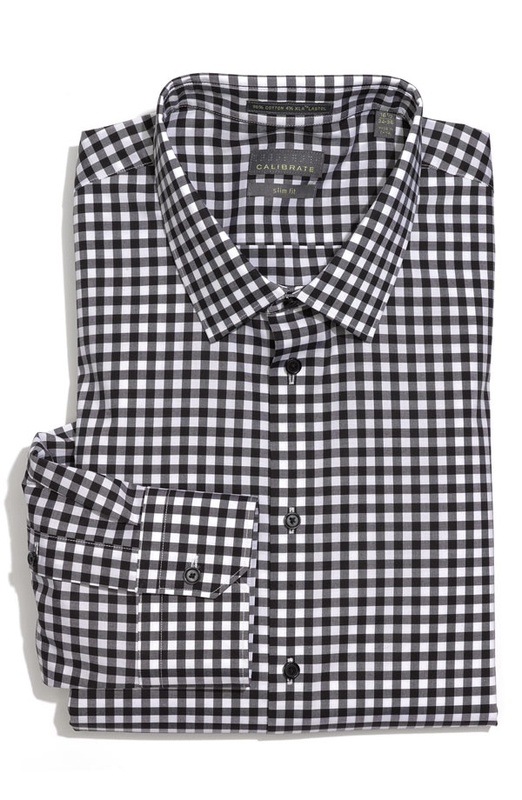 If you’re inclined to wear patterns over a solid dress shirt, this one’s available online now through Nordstrom. This entry was posted in Tops. Bookmark the permalink.